So you want to learn how to make pasta? 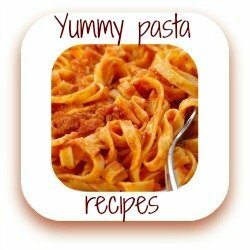 If you're looking for authentic Italian recipes to teach you how to make pasta quickly and easily, you'll find them here. Learning how to make pasta from scratch is part and parcel of growing up in Italy - recipes are passed down from generation to generation. 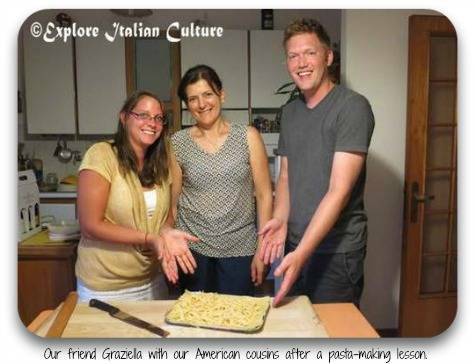 We're lucky enough to be taught by an expert - our friend Graziella cooks delicious pasta every day for her family. She also works, so her recipes need to be quick, easy and tasty. Now we can share her techniques with you. 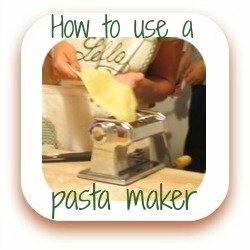 On this page you'll find links to several other pages, each of which has a different 'take' on how to make pasta. They range from doing everything by hand to doing everything by machine - and all stages in between. So whether you have all the time in the world or none at all, there's something here to suit your needs so that you can make your family delicious, healthy, fresh pasta. 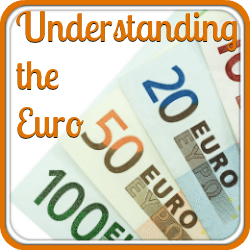 Click on any of the links or on the buttons to see the page. 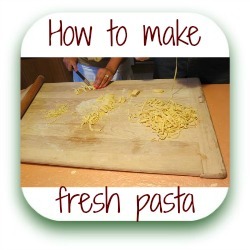 Learn how to make delicious fresh pasta by hand from start to finish. It's quicker than you might think! 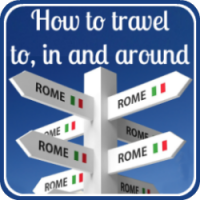 This recipe shows the entire process, step by step, as our friend Graziella demonstrated it to our American cousins. Ever wondered how pastas come to be different colours? 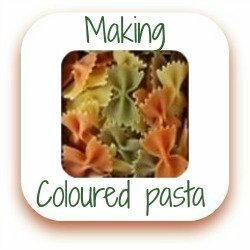 In this section we show you how to get a coloured effect for your pasta without resorting to chemicals. It's healthy, it's simple and it's fun to do! Not enough time to do the whole process by hand? No problem! This sesction is all about how to use a manual pasta-cutting machine to roll your dough thin and then cut it into whichever shape you want. Saves time, and kids love it! Ideal for families. 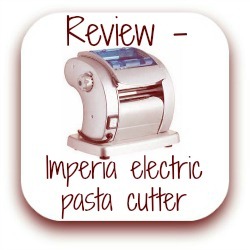 Following on from the 'how to' sections, this page reviews a manual pasta machine. 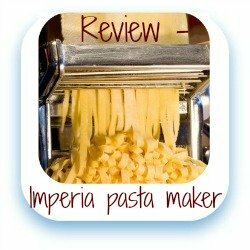 Imperia's manual pasta machine is to be found in most homes in Ialy. It's solid, it's reliable, and it helps you make the best pasta ever. If you want to make pasta by hand, this little machine is a must. Not happy with a manual cutter? It can be a bit difficult to manage. So this machine could be an answer. Made by the same Italian company, it's the best electric pasta machine on the market. 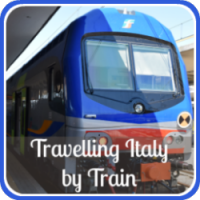 Ideal for people who need to multi-task! So you haven't any time to make fresh home made pasta? We have the solution! 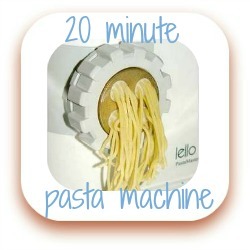 This amazing pasta machine from Lello will make you fresh pasta from start to finish in twenty minutes. 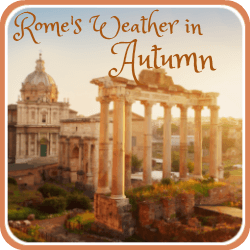 The ideal answer for busy couples, families with heavy schedules and retirees with other things to do! No Italian meal is complete without at least one pasta course. You've made pasta from scratch, now it's time to learn how to make pasta sauces to accompany it. Fresh ingredients, healthy options for growing families. Perfect.